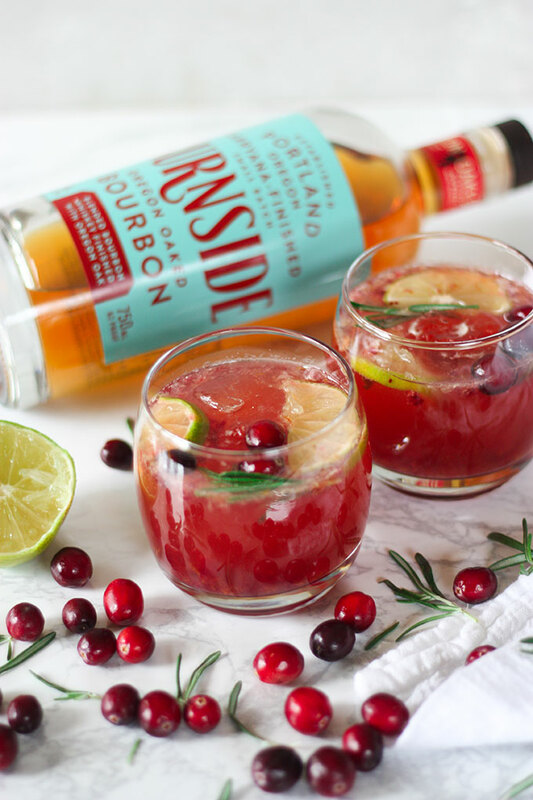 These cranberry rosemary bourbon cocktails will be your new house favourite for the festive season! 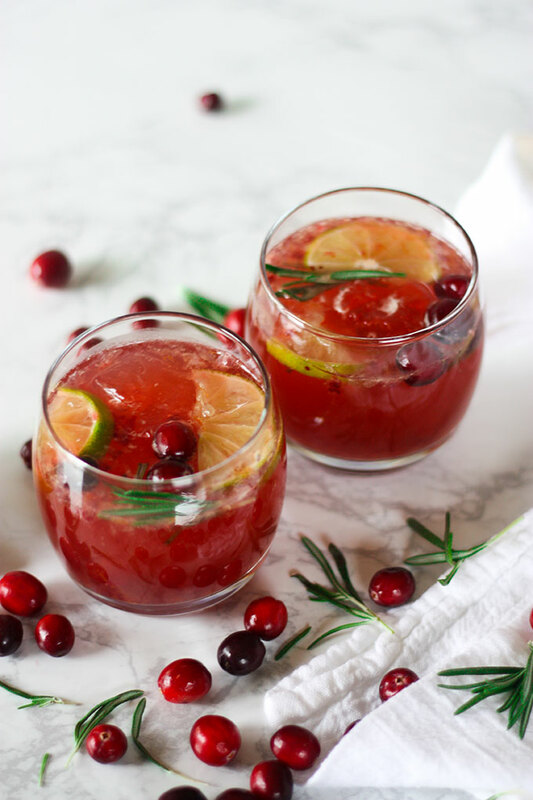 Made using real cranberry sauce, this cocktail is both refreshing and festive – perfect for a party! Thank you to Eastside Distilling for providing me with the product for this post. As always, all my opinions are my own. Thank you for supporting the brands that make THCK possible! Um, so a) how it is nearly the end of November already, and b) how it is almost Thanksgiving and I feel like I’ve posted a sincere lack of Thanksgiving recipes? I must admit, Christmas is more of my jam compared to Thanksgiving. I guess not being from America, my loyalty lies more so in Christmas so #sorrynotsorry, but I’m just saving all the good stuff till December! BUT, in saying that, I couldn’t go past posting a cheeky cocktail to get you through the Thanksgiving period. Now I’m not saying alcohol solves all the problems, because it can’t, but it can make day go a little smoother! 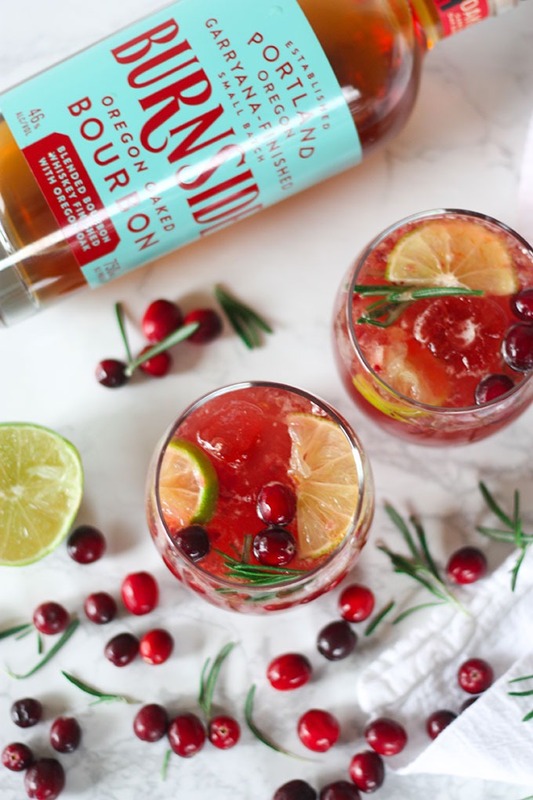 Even if you’re not into drinking, this cranberry rosemary bourbon cocktails makes the perfect mocktail! Just omit the bourbon and you’ve still got yourself the ultimate festive drink! This cocktail is so smooth, not overly sweet and have some of my favourite festive flavours to get you in the holiday spirit! I partnered with Eastside Distilling to make this recipe possible today and I am SO thankful for their support and other local Portland brands that help support THCK. Eastside Distilling is a local Portland based distilling companies that specialises in high quality, master crafted small batch spirits. I was lucky enough to receive a bottle of their Burnside Oregon Oak Bourbon and it is so, so good! It’s a full bodied bourbon with hints of vanilla, wood and toffee and it is beautiful by itself, or as a cocktail! But let’s get to this recipe shall we? After all, Thanksgiving is tomorrow and you’re gonna need to get the ingredients ASAP! A cozy and elegant cocktail for the holiday season and winter weather! 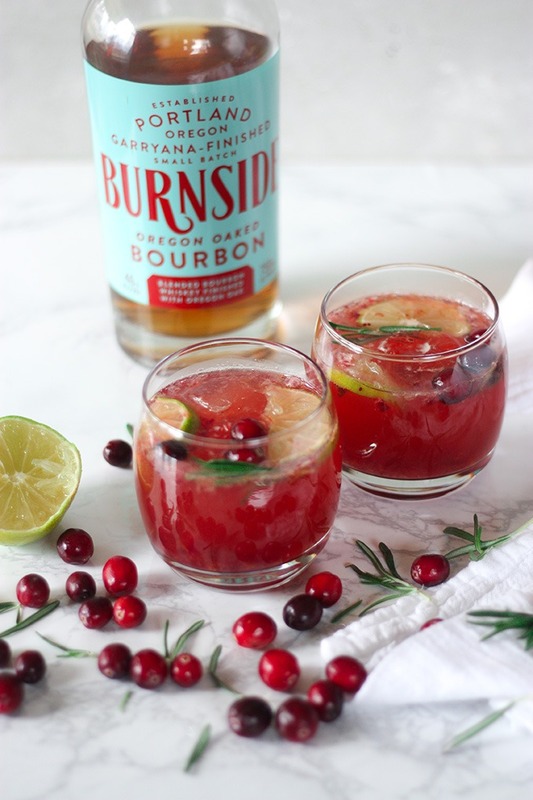 Combining cranberry and bourbon in a flavorsome cocktail with just a hint of rosemary from the rosemary simple syrup. 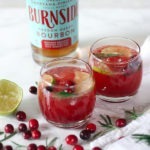 This cranberry bourbon cocktail is a great drink recipe that's easy to whip up for a holiday celebration! Place ingredients in a saucepan, bring to boil and reduce heat. Simmer 10 to 15 minutes, or until cranberries have burst and sauce is thick. Place 1 teaspoon cranberry sauce in bottom of glass. Garnish with lime, cranberries and rosemary. Yields one. Cranberry sauce can be used for Thanksgiving turkey! As you can see I used fairly short glasses. Adjust quanities according to taste and size of glass you're using! Over to you guys! What are you doing for Thanksgiving? I’d love to hear! thanks Kelsie! 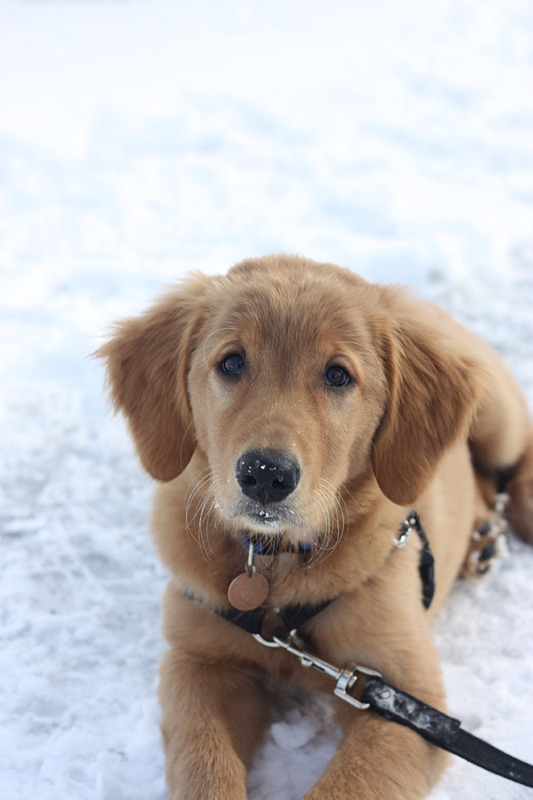 it’s so nice when a photo actually turns out the way I want it! I’m definitely more of a Christmas kind of gal too but I love that Thanksgiving at least allows us to start celebrating all of the delicious holiday eats (and drinks) sooner!! I’m a cranberry fiend these days and these drinks sound so perfect!! Cheers! I love fruity cocktails!! This sounds perfect for the holiday season! The color is so bright and festive! 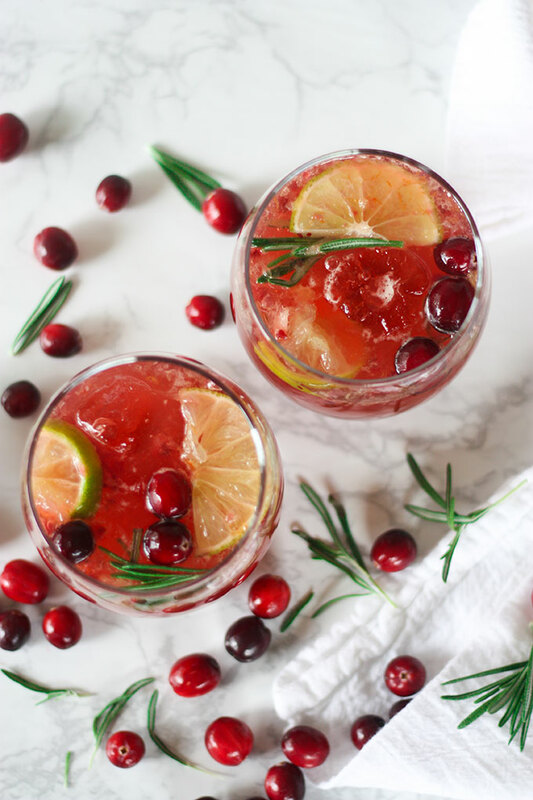 Cranberry and orange are delicious together and so this cocktail is definitely a keeper! Full of flavor and super refreshing! Delicious! thanks Amanda! these were so popular at christmas!